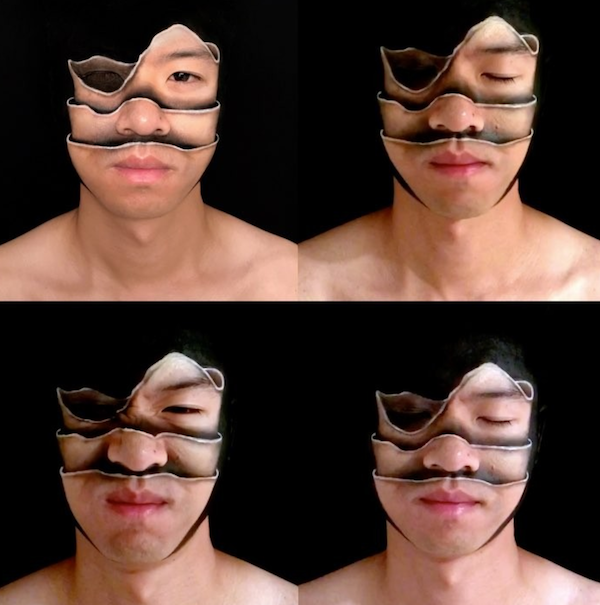 We've never seen an artist quite like Mimi Choi. 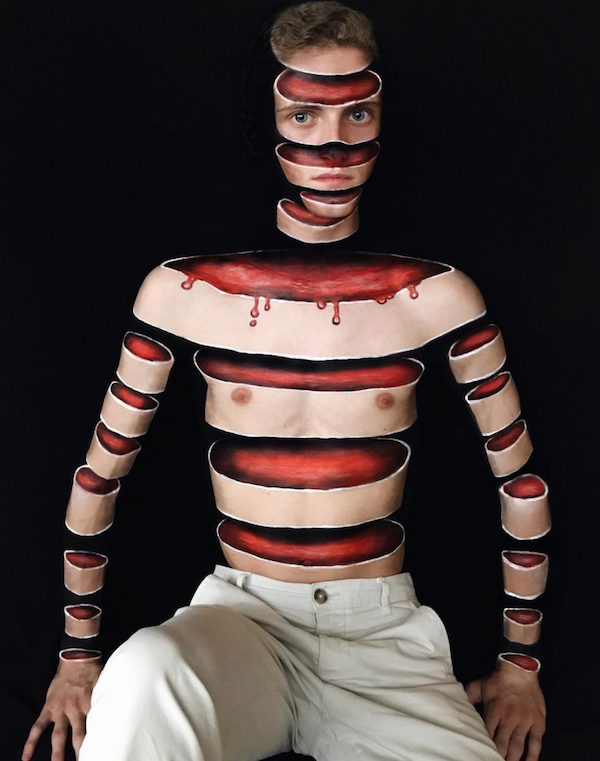 The 31-year-old Vancouver-based makeup genius creates optical illusions so startlingly realistic that they render us speechless in a mix of terror and awe. What you see hasn't been Photoshopped or otherwise digitally altered. 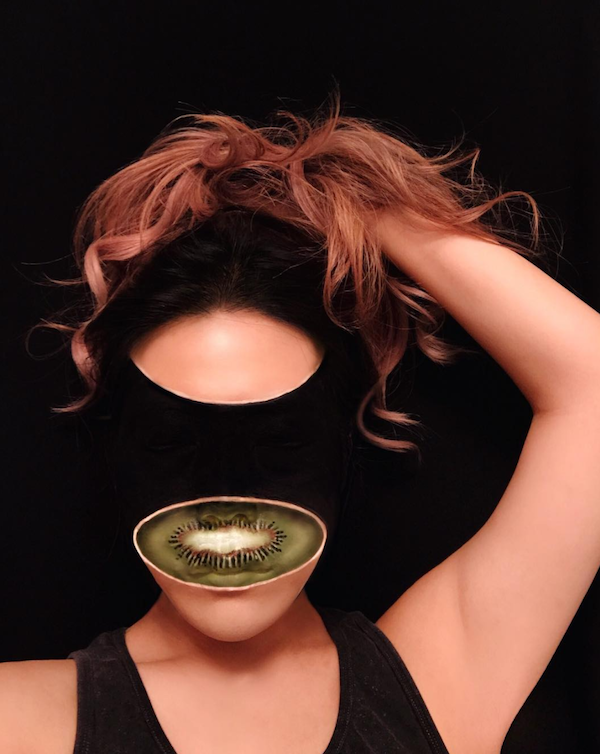 Mimi uses basic makeup to create the stuff of nightmares (a hole in the face, anybody? ), and uses paintbrushes instead of makeup brushes to decorate her "canvas." 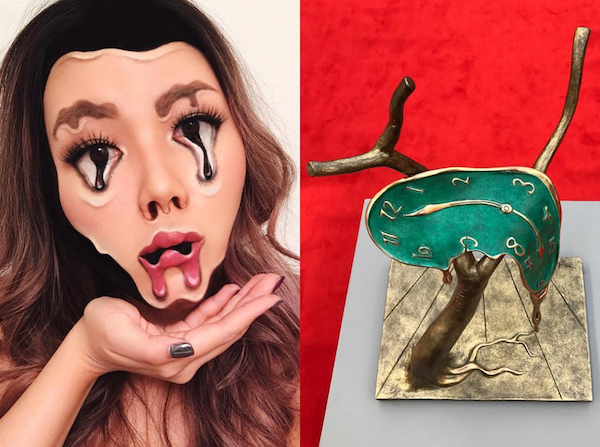 She gleans inspiration from art, namely surrealist Salvador Dali. “When I do illusions now, I draw my inspiration mostly from my surroundings, photography, paintings, and emotions. 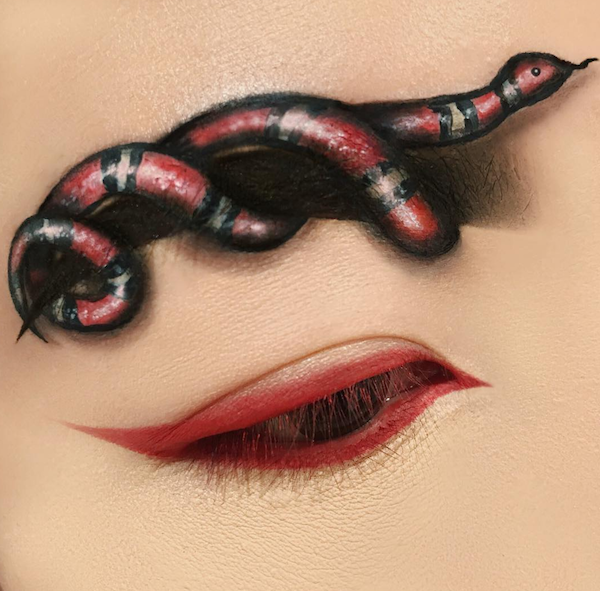 I try not to look at other makeup artists’ work too much and challenge myself to produce original, unique work,” she said. If you'd like to follow Mimi, add her on Instagram, and if you're in the Vancouver B.C. 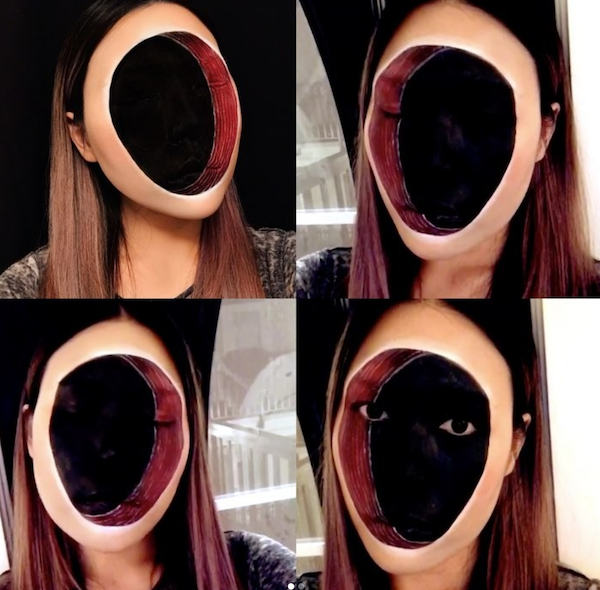 area, she offers tutorials and has a waiting list of folks wanting original Halloween looks. Sign us up! 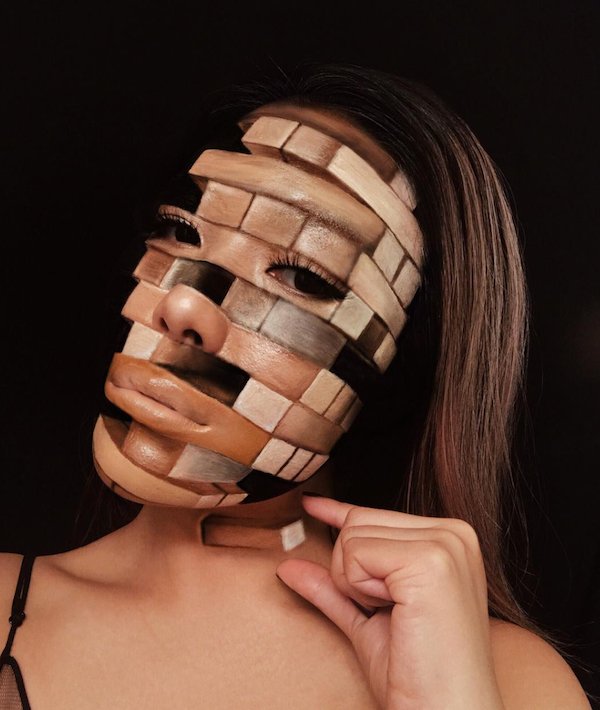 Mimi calls this her LAYERED FACE makeup illusion. 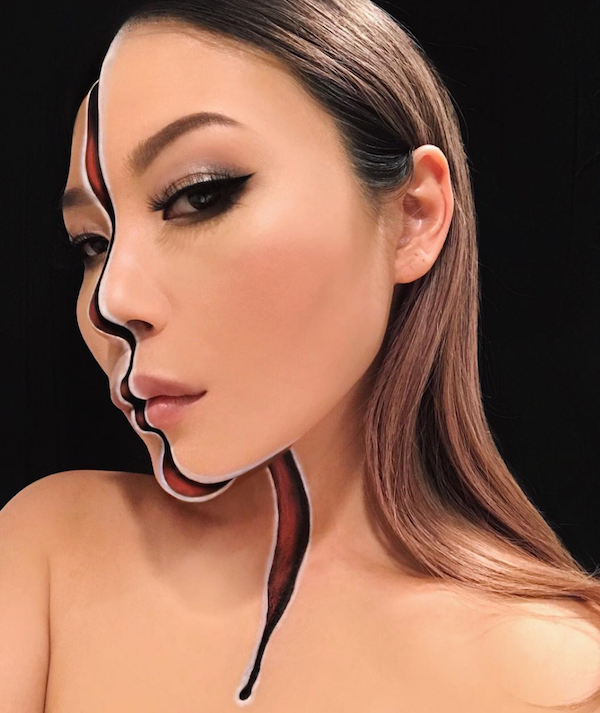 HOLE IN THE FACE, inspired by Salvador Dali. 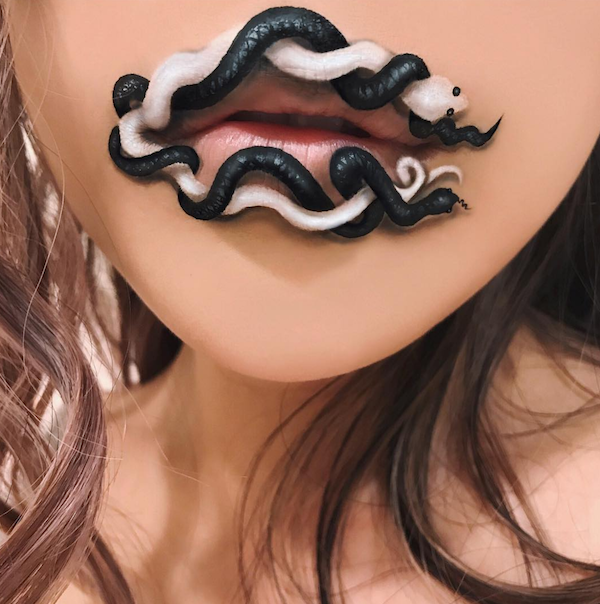 Mimi's EXTREME MELT, inspired by Salvador Dali. 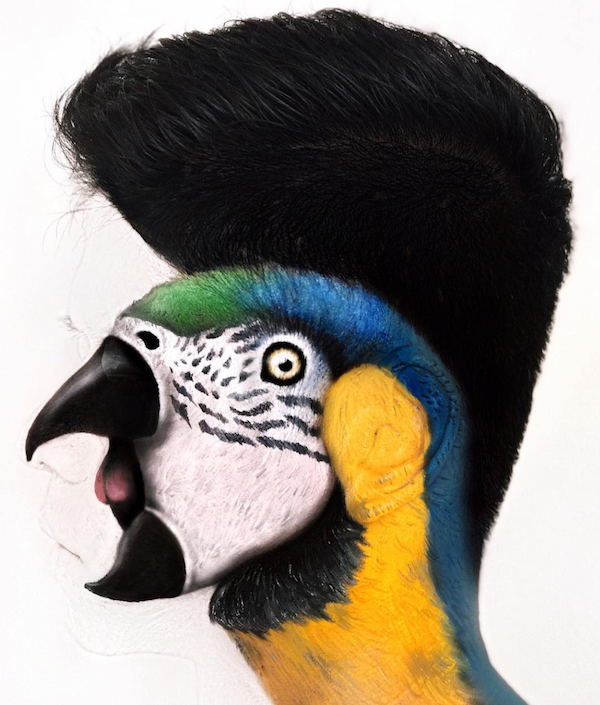 PARROT with a mohawk painted on the side of a friend's face. Mimi refers to this look as SPLIT PERSONALITY.